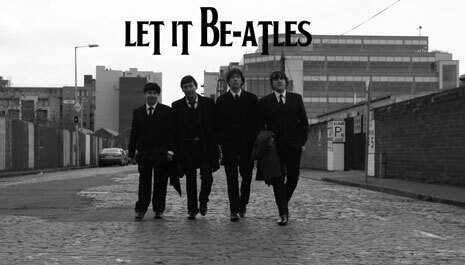 LET IT BE-ATLES are a recently new tribute band to THE BEATLES. The band are all from Dublin, Ireland and are well established and experienced musicians having played in other groups both in Ireland and abroad. The band played their first 4 gigs in Munich 2012 during the Octoberfest celebrations as a one off performance but they were very well received that they decided to continue as a Beatles tribute band. 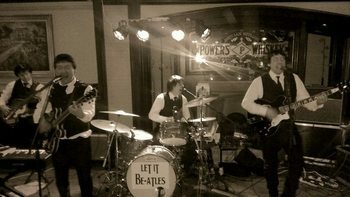 The band capture all the raw energy and sound of the original Beatles from their Hamburg days which really gets the crowds going in their 2 hour show which includes early and later hits plus some solo numbers. The band have been asked back to every venue they have played so far! 1 Allen & Heath 8 channel mixer & Yamaha 4 channel mixer. Bass bins can be added. All mics, cables & stands. Yes. 4 LED lights & stand.